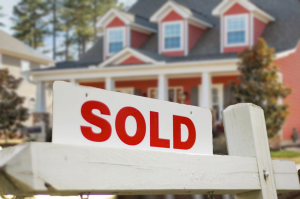 Sell your home in Greenville, SC Area Selling your home can be easy. Let our experienced staff help you make it happen. Selling your home in the Greenville, SC area is a big decision that involves a lot of preparation and work that’s why it is important that you have an experienced real estate agent to handle the details and work for you. We, at the J Michael Manley Team, can help you every step of the way. We have a team of experienced listing specialists who have helped many Greenville, SC home sellers sell their homes for top dollar. We know how to handle every aspect of the sales process – from strategically marketing and showcasing your greater Greenville home to making sure everything’s signed, sealed and delivered by the closing date. Why Choose the J Michael Manley Team? The J. Michael Manley Team is a team of local real estate experts ready to reveal the secrets of how we can help you sell your home. To get your home sold for top dollar we utilize High Dynamic Range Photography; HD virtual tours; social media exposures; staging your home at no cost to you; promote your home online using multitude of online sites including Multiple Listing Service, KW, Trulia, Realtor.com; market your home using other advertising media like print; and provide you with reports for you to follow the marketing steps we take for your greater Greenville area home. These are some of the things we do to get maximum exposure for your listing to sell as quickly as possible. From setting the price to creating marketing campaigns for traditional media and Web, we’ve got a proven plan that will match your home with the right buyers for the right price. We are committed to fast, professional and courteous personal service to help you understand and feel at ease throughout the home selling process. Our trained and certified agents specialize in the Greater Greenville Area real estate market and are prepared to sell your home to the right buyer for the best price. If you need to know how much your greater Greenville area home is worth, fill out our FREE Comparable Market Analysis Form. We will e-mail you information about recent home sales in your neighborhood. We can also discuss how to get your greater Greenville area home sold for top dollar, no obligations, just pure service!